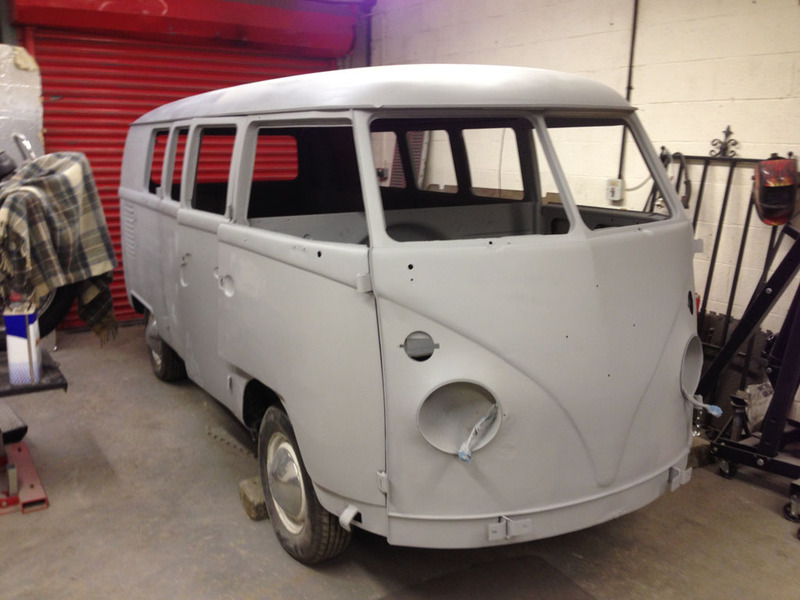 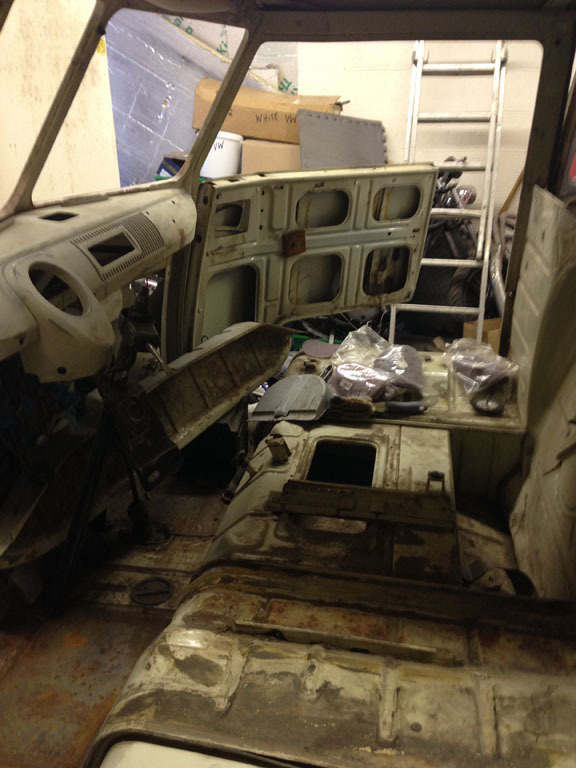 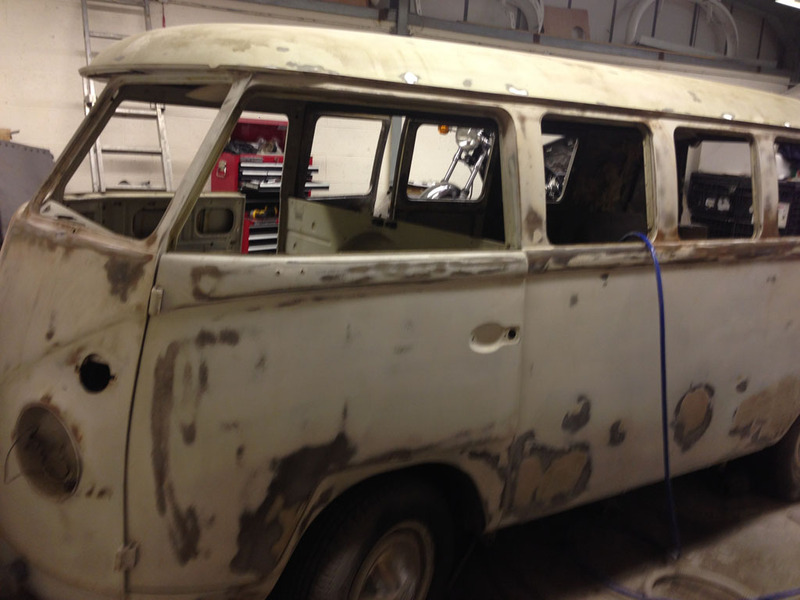 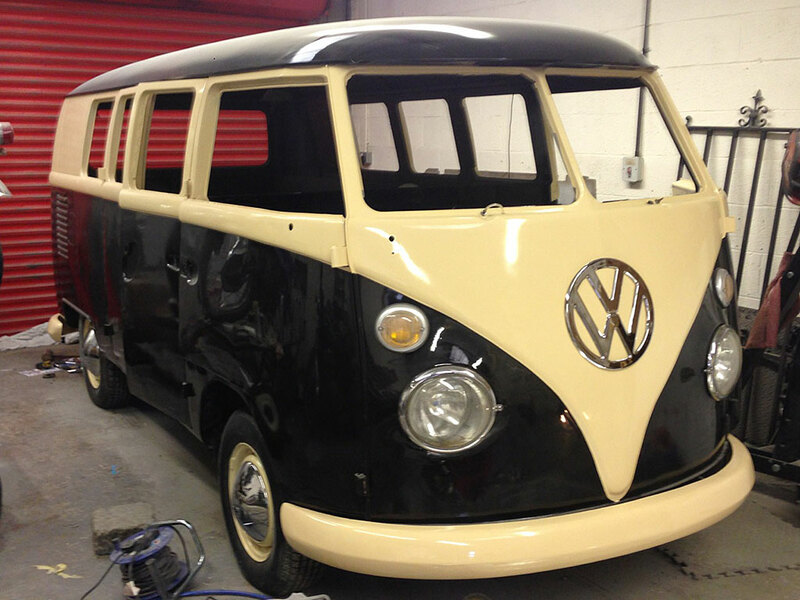 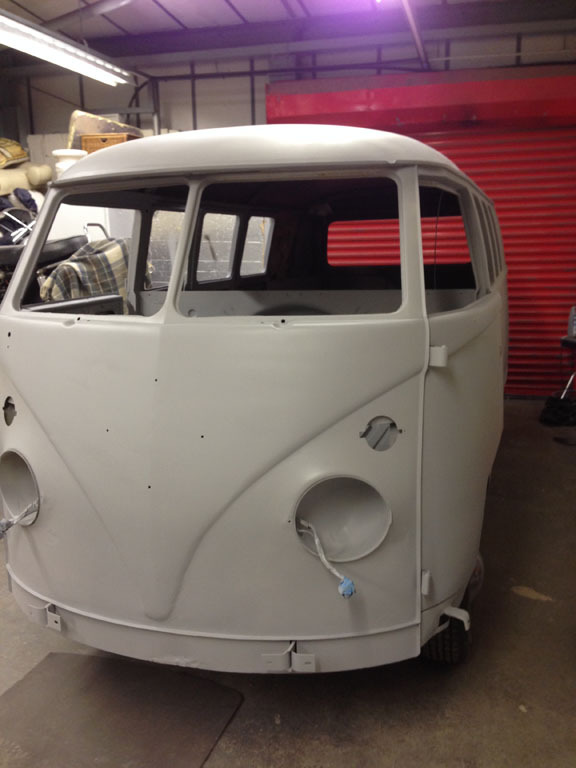 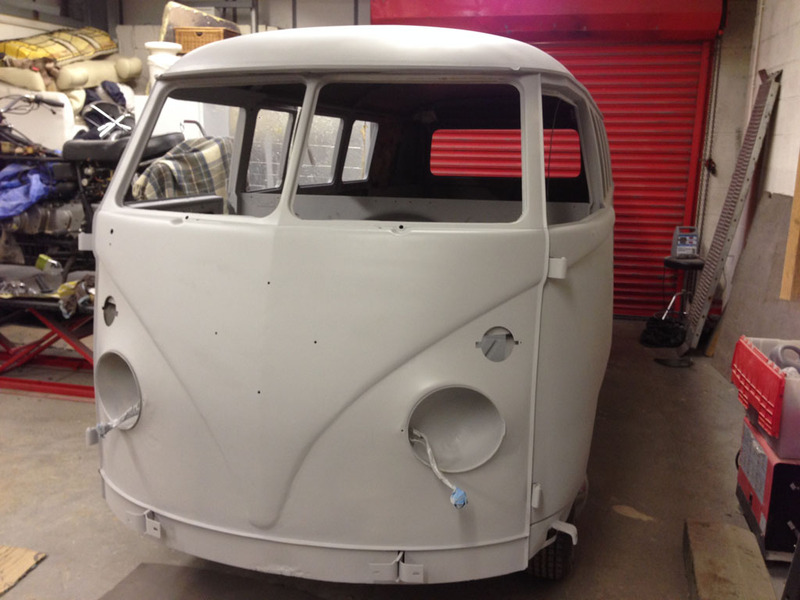 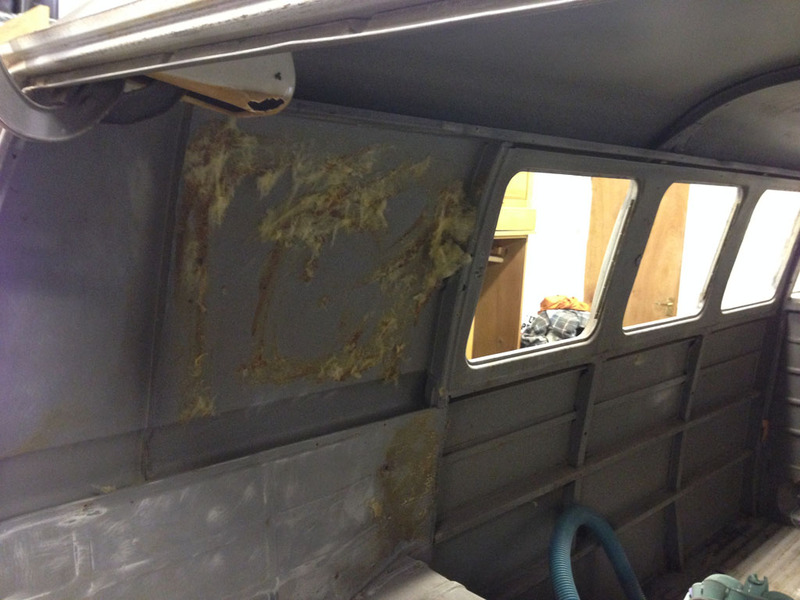 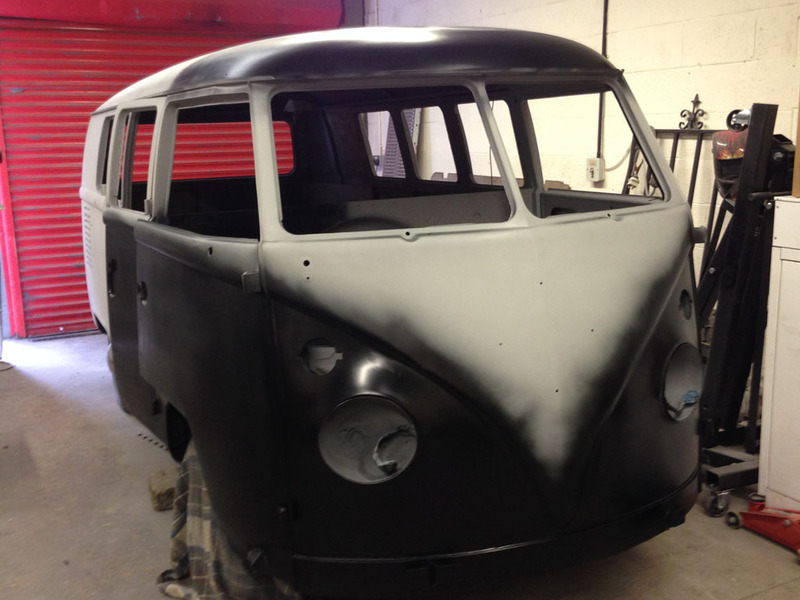 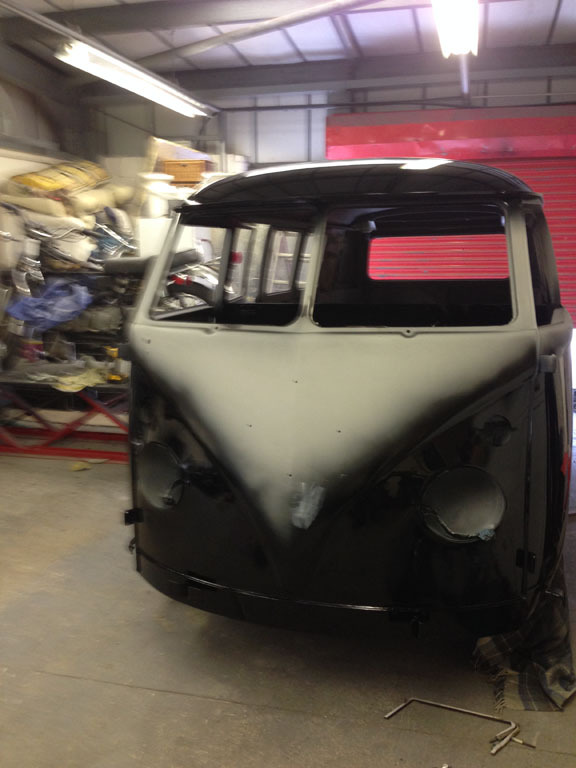 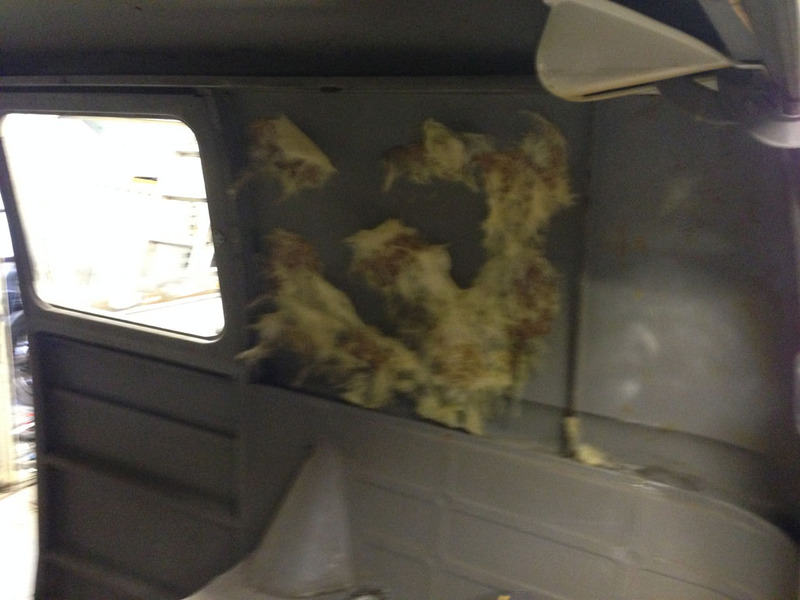 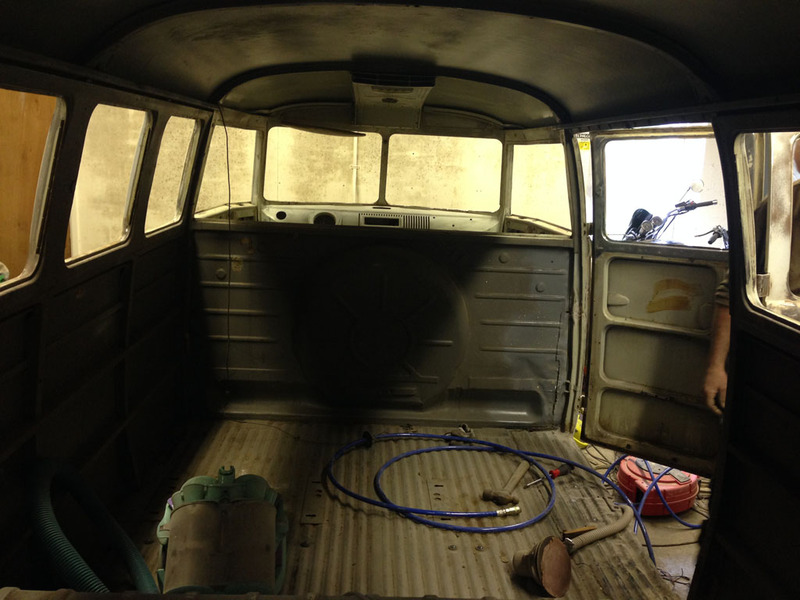 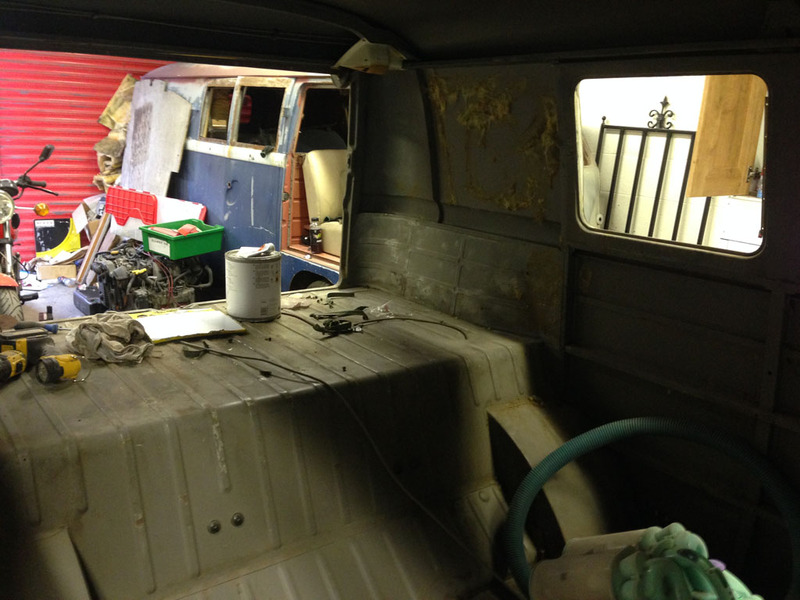 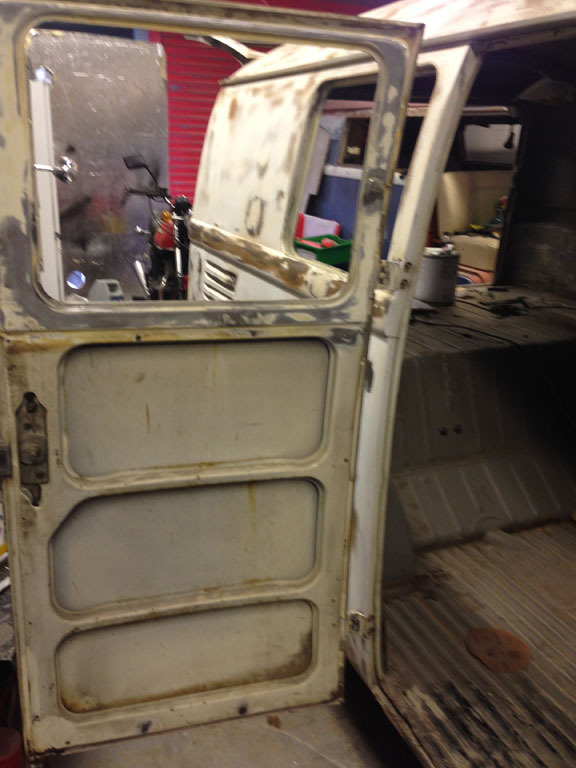 This VW split screen is a 1967 model that we purchased in Southern California and then packed into a container and shipped back to the UK, she was pretty rust free the floor was good as were all panels and the roof. 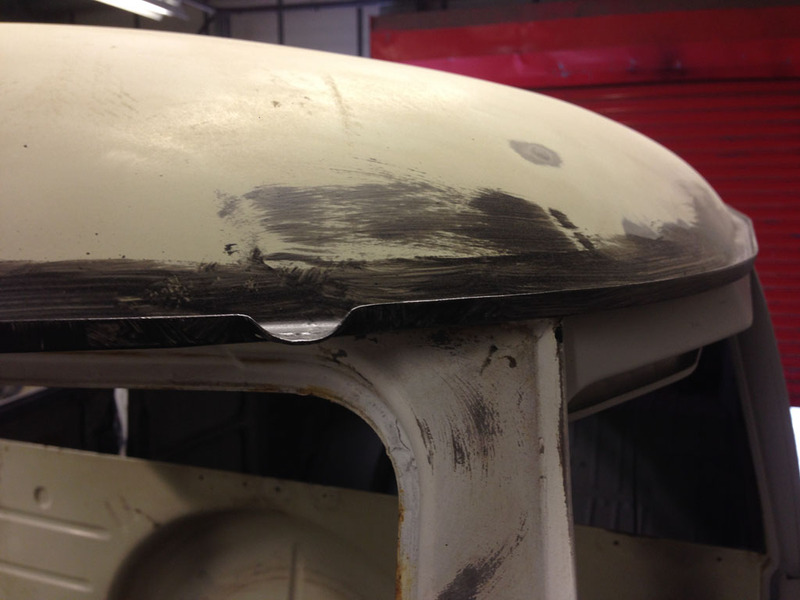 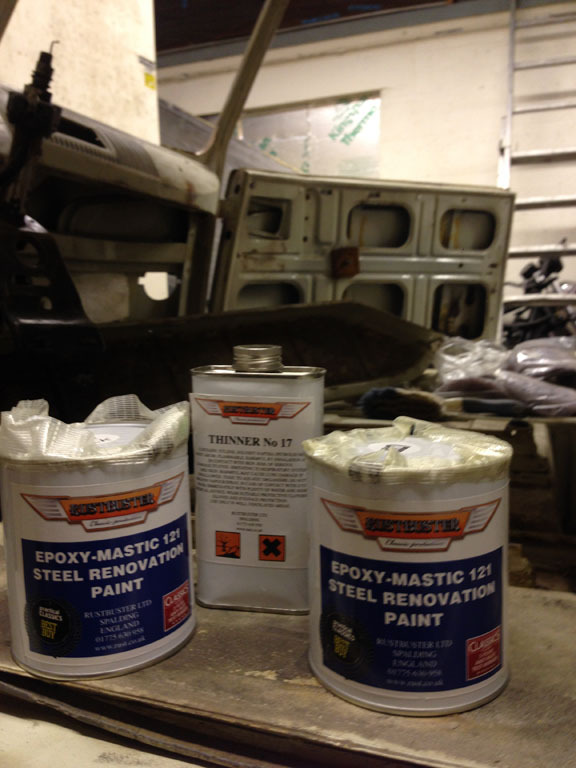 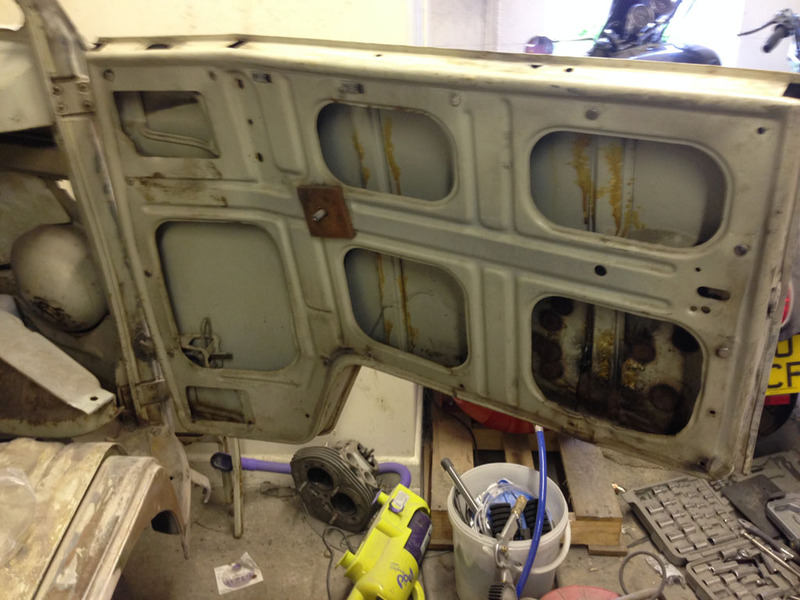 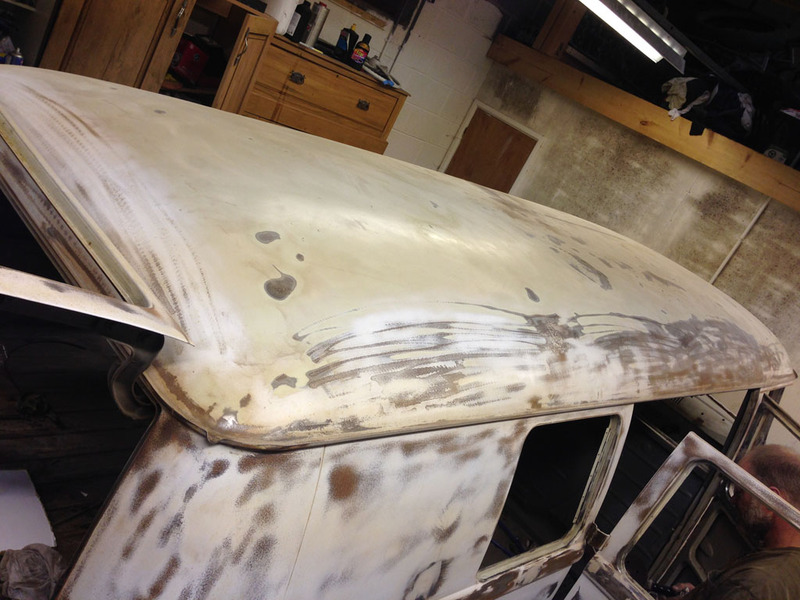 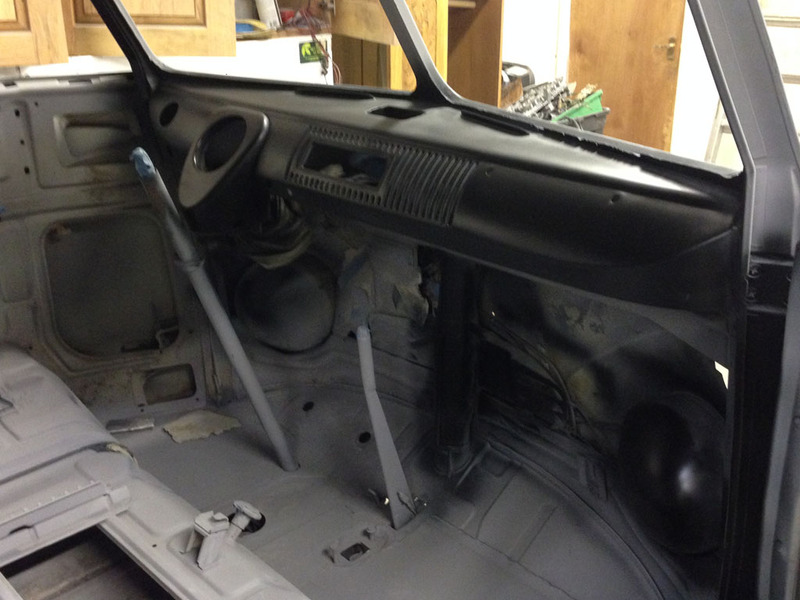 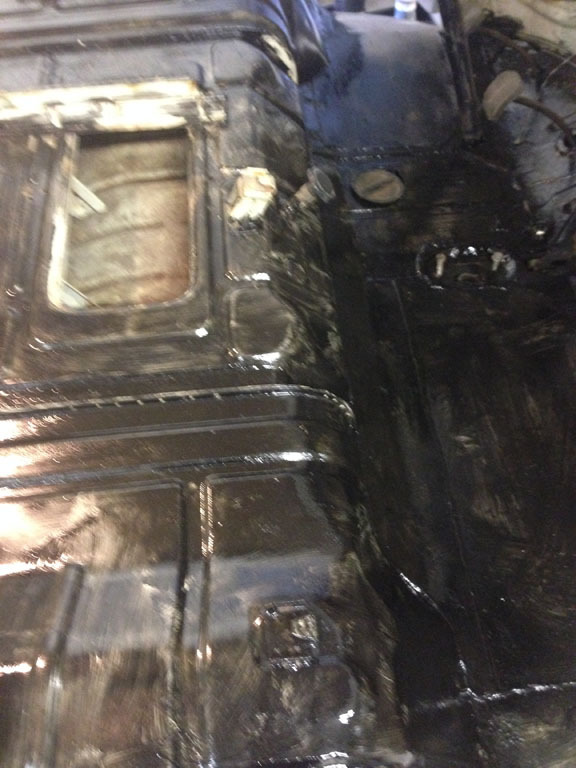 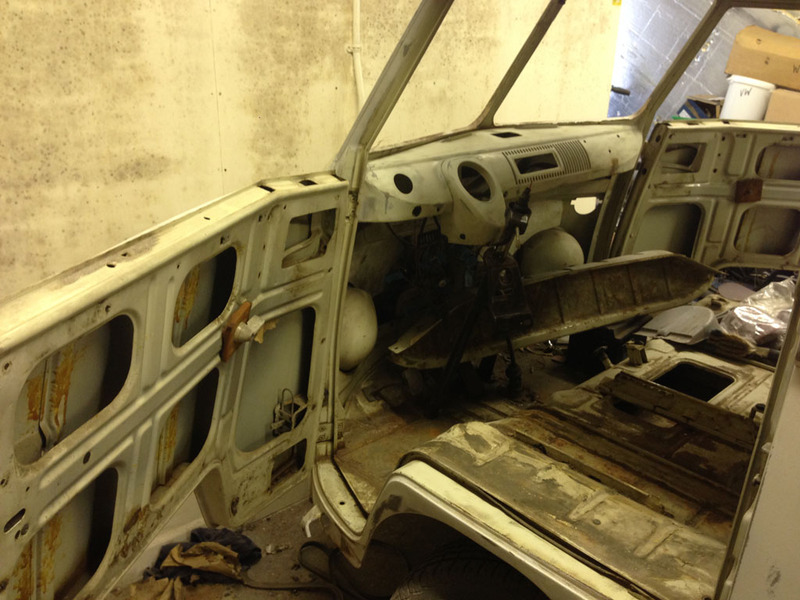 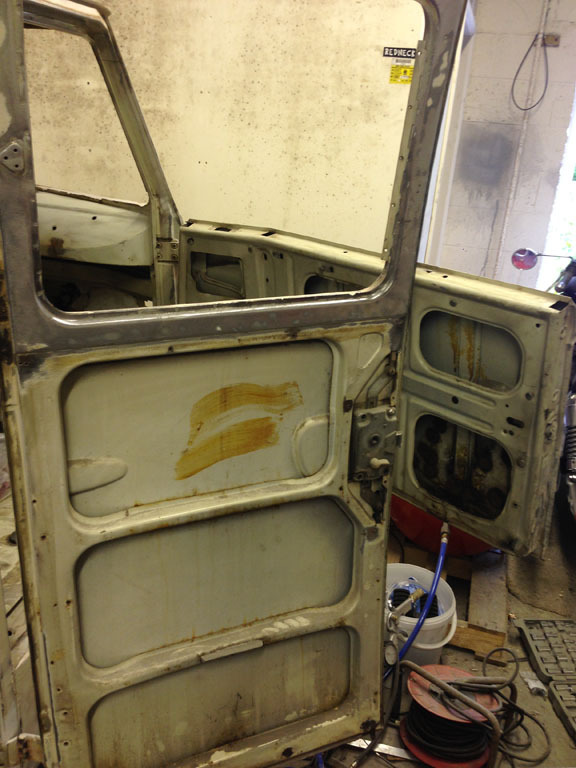 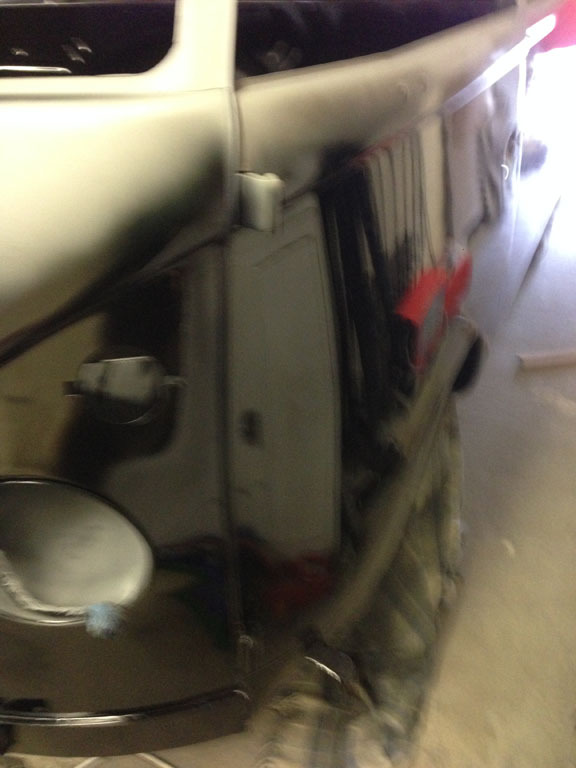 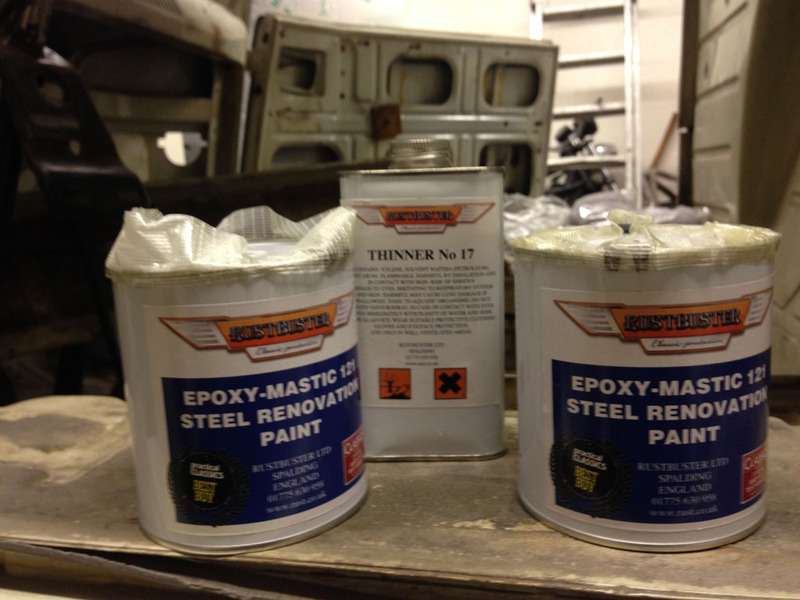 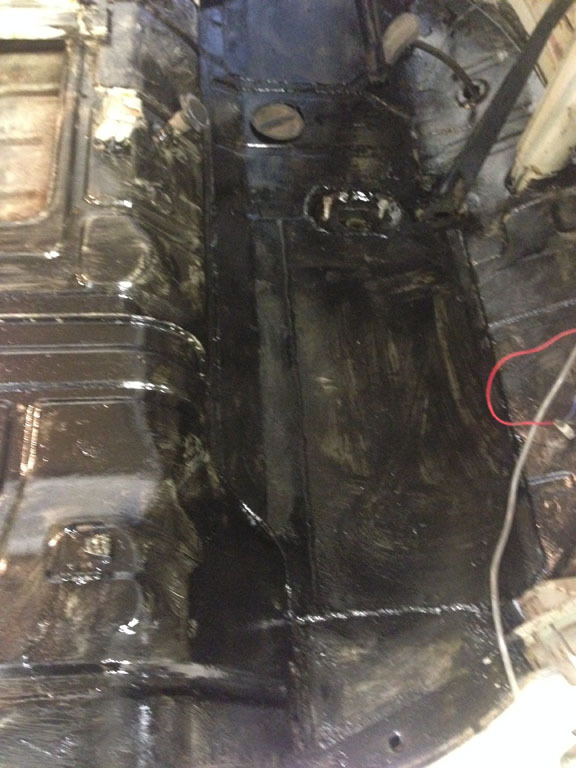 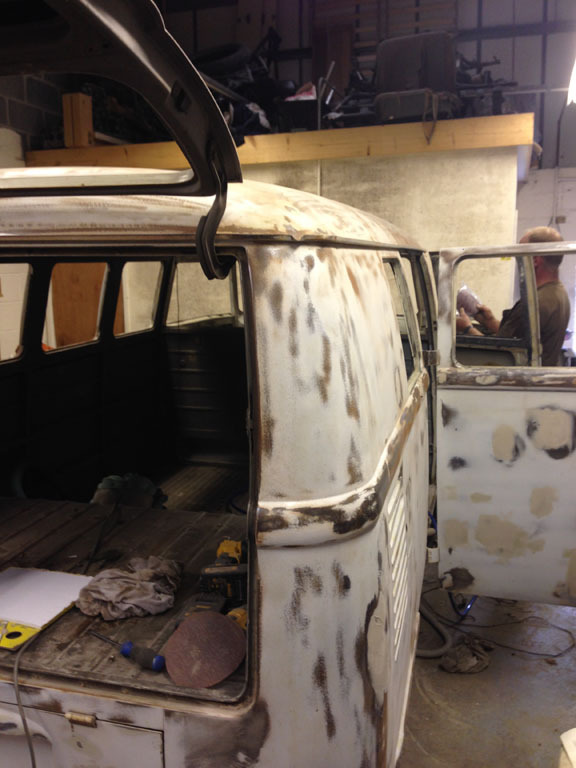 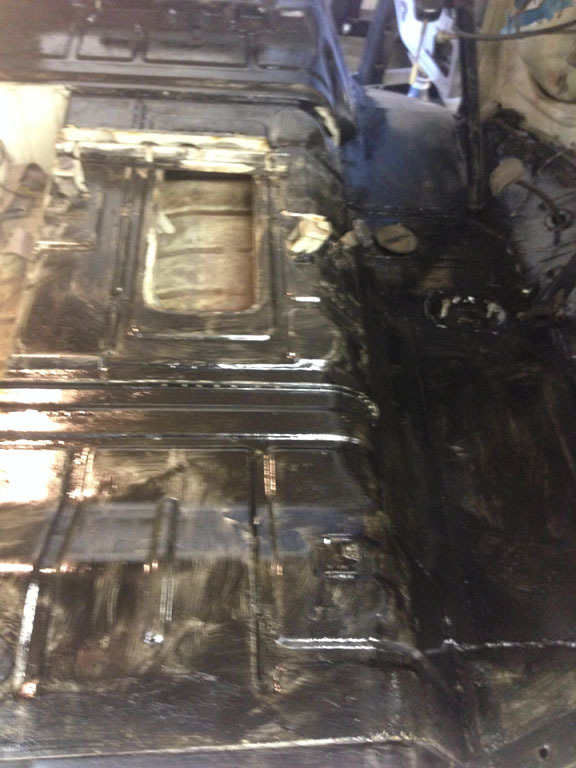 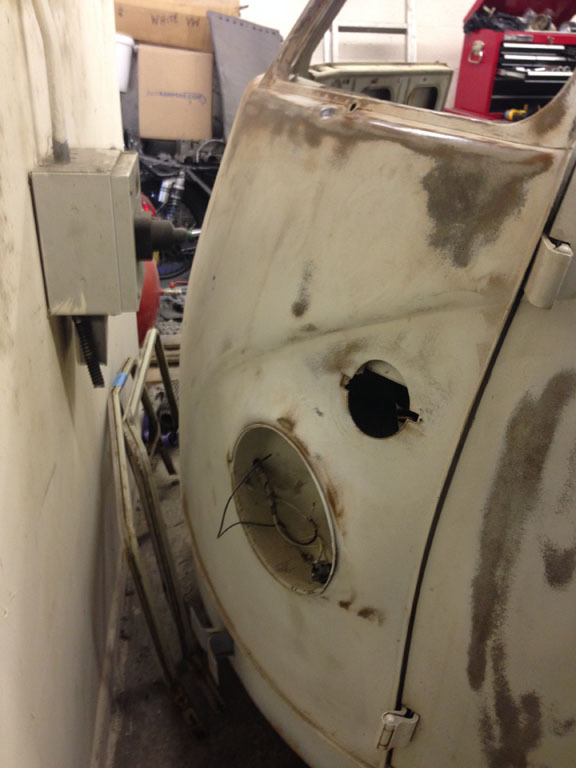 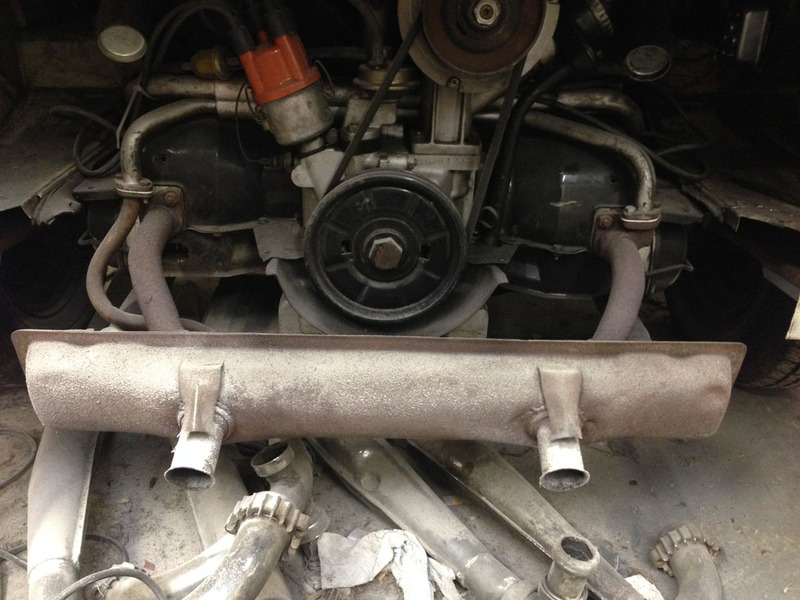 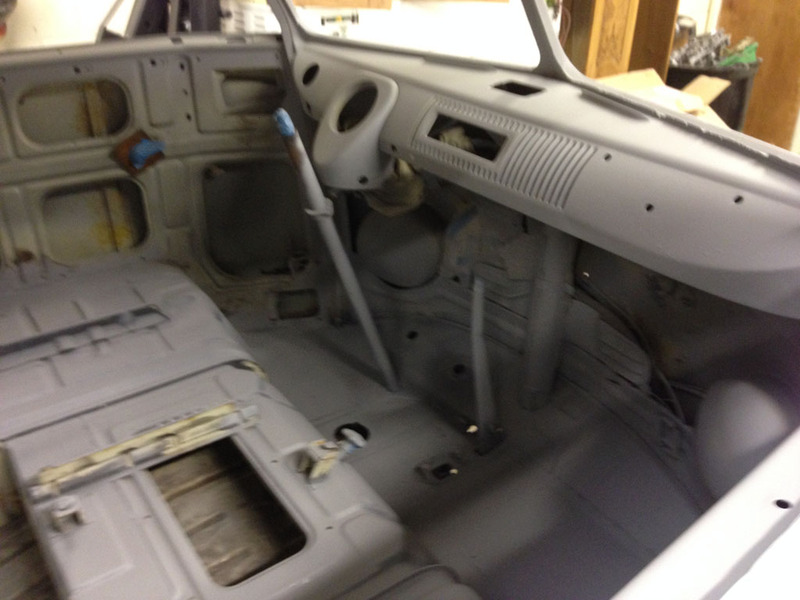 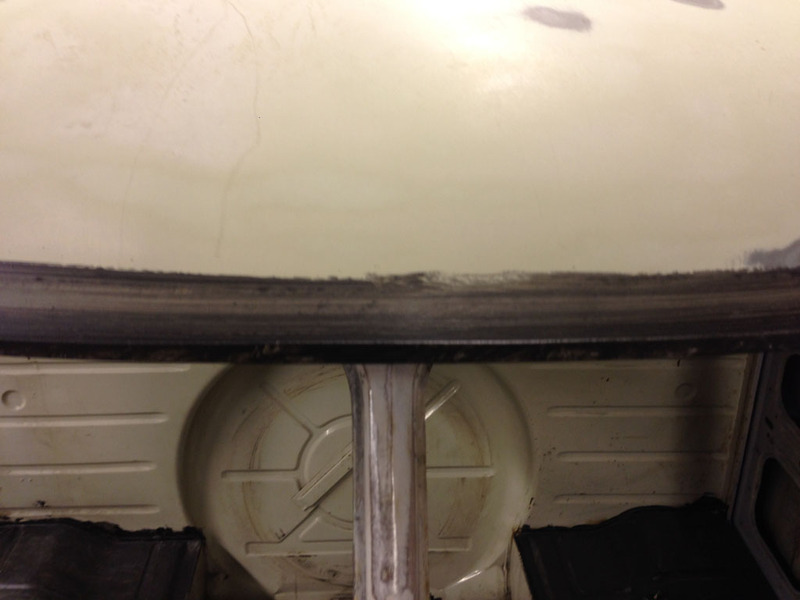 Once back in the UK we stripped her back to bare metal and began rust proofing any vulnerable areas that prove problematic on UK based VW’s due to our damp climate. 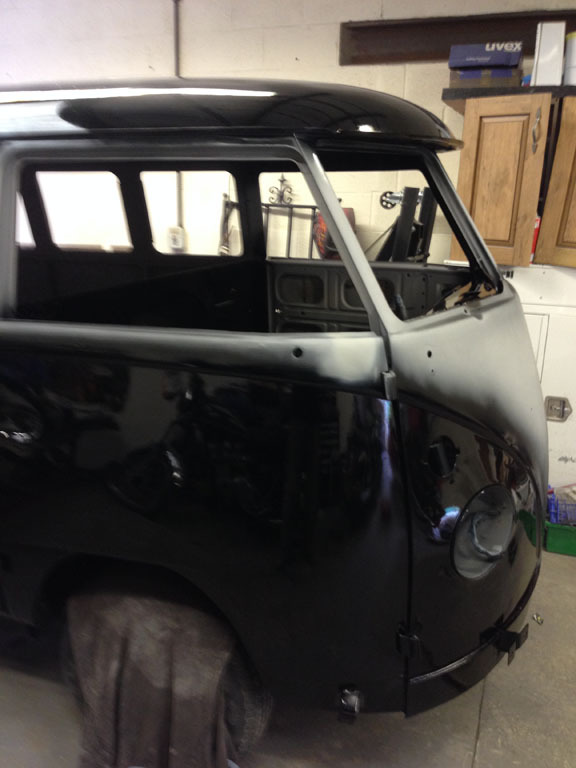 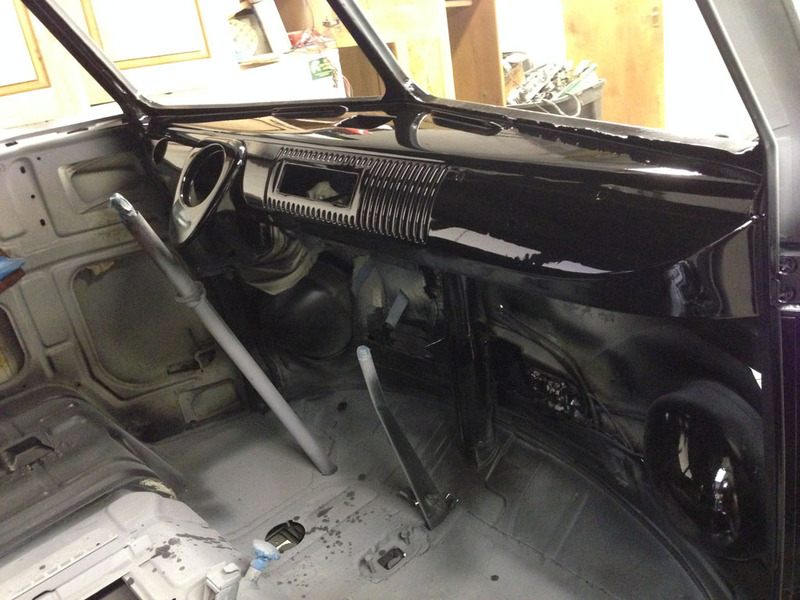 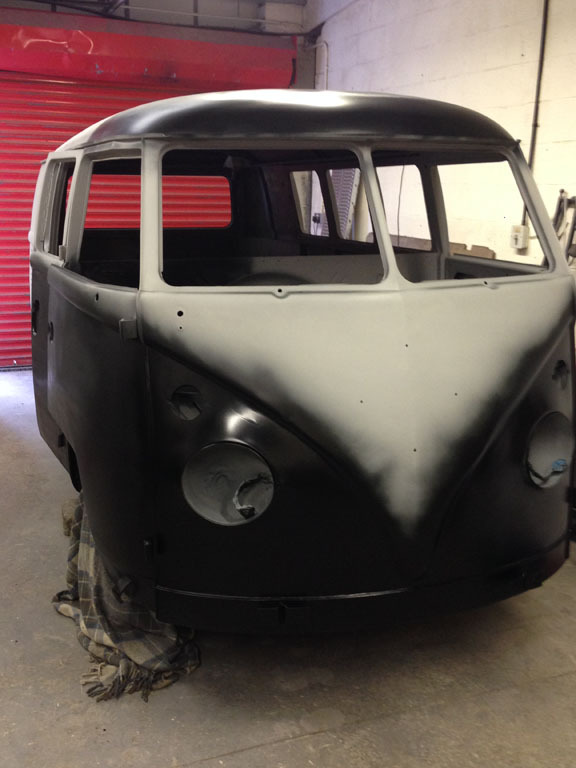 We then primered inside and out giving a good base to work with before starting the re spray, we decided on the black and ivory as it’s not something you see every day with regards split screens, why not stand out from the crowd? 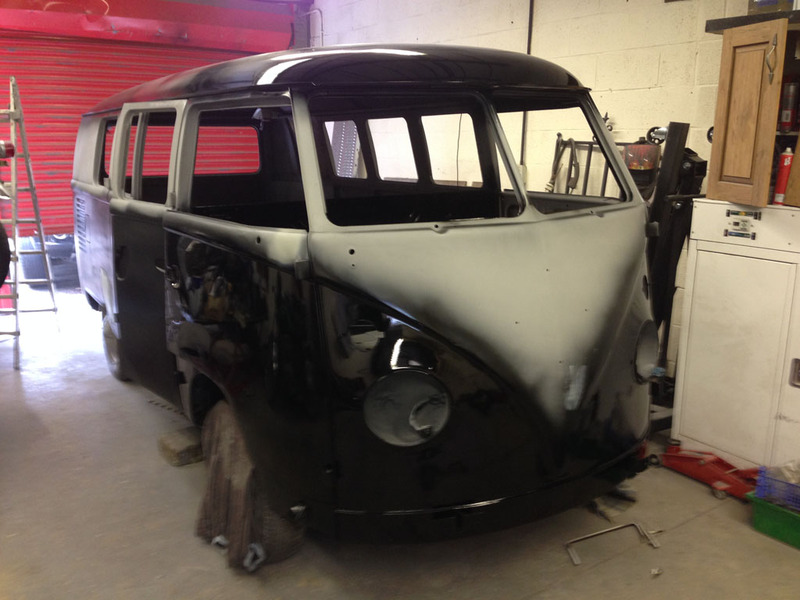 She is currently undergoing a complete re wire and is having new kitchen and rock and roll bed fitted, she’s had new door and window seals and the engine is being re furbed, pictures to follow as and when she’s completed.